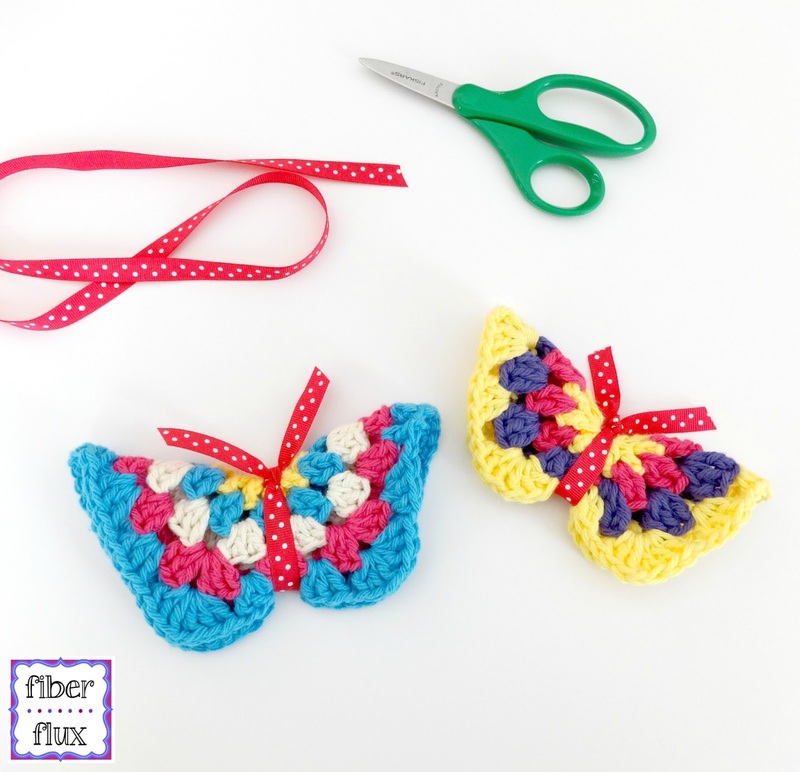 Fiber Flux: How to Make a Granny Hexagon Butterfly! 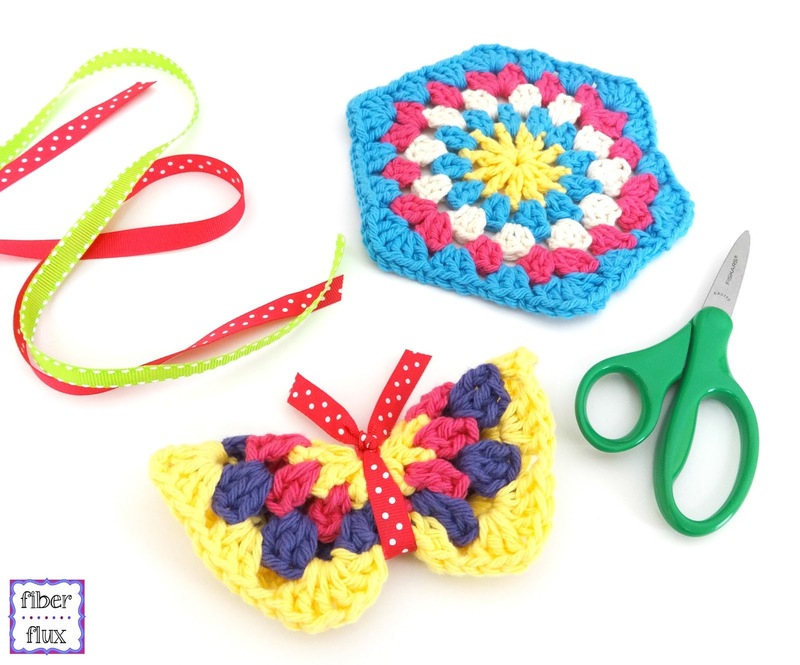 How to Make a Granny Hexagon Butterfly! These butterflies are so cute and easy to make! 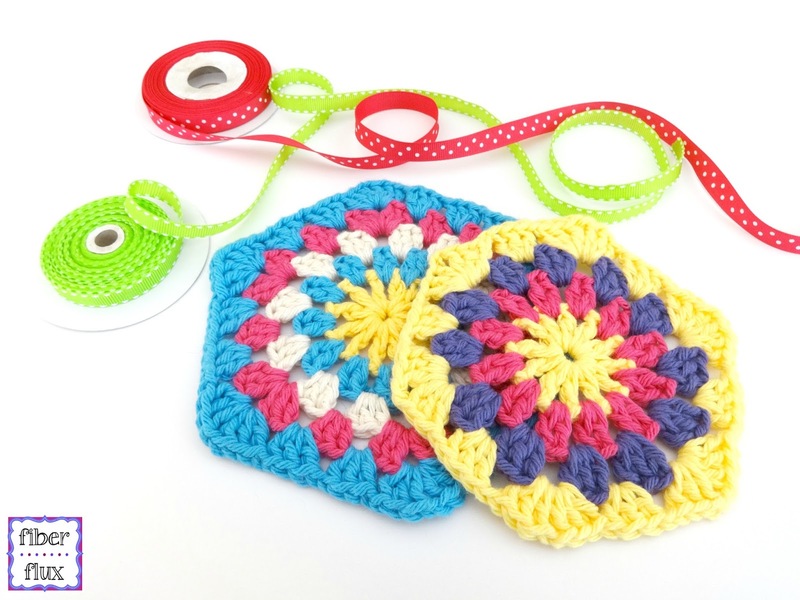 They are a great way too to use up some of your scrap yarn and ribbon too...all you need is a finished hexagon (tutorial below), some ribbon and scissors. Let's make a pretty butterfly, shall we? Fold hexagon as shown below. Cut a 12 inch piece of ribbon and wrap it around the hexagon as shown. Tie at the top. Be sure to cinch it a little as you tie to make it look more like wings and less geometric. For more fun projects and pretty patterns, be sure to follow Fiber Flux on Google+,Facebook, Twitter, and Pinterest for the latest updates! I did this project but added a scollop edging and it turned out fabulous!! Thanks for posting. I did this project for my niece who loves butterflies only I added a scallop edging and it turned out fabulous! !